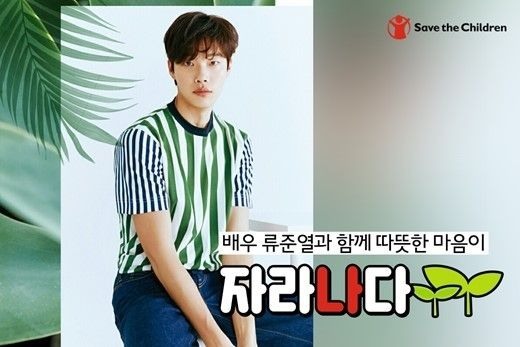 Actor Ryu Jun-yeol’s fan club Ryu’s Gallery has donated 7 million won ($6,260) to the nongovernmental organization Save the Children Korea. Save the Children Korea said the fan community donated the money to the organization’s “Grow Up” project, which provides some 70 underprivileged teenagers with female sanitary products for a year and teaches health information. It is not the first time that Ryu’s fan club has helped those in need. The fan community has raised funds every year on the actor’s birthday to help the underprivileged. The actor himself participated in the “Grow Up” project in June this year. Ryu will hold a fan meeting at Kyunghee University Peace Hall on Saturday to celebrate his birthday with fans.